Youthful and yet classic style, this straighter layered mens wig suits almost any face shape. The hair is made from the finest quality synthetic eleora blend fiber. 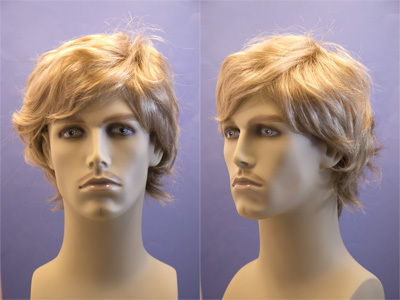 These wigs can be customized by your stylist to suit your specific features. 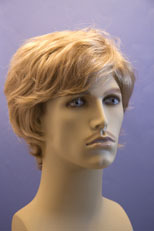 Wig Secret features high quality natural looking wigs and toupees. Other colors can be ordered, Please allow 1 week for delivery on extra colors.